Have your employees reached a point where they are not making any progress? There may come a time when your employees might start slacking off. Don’t send them packing just yet. As a manager, you can keep your employees motivated to help them rise above stagnation. Once you work together to implement a few strategies, you’ll both be amazed by the resurgence of energy and motivation. It’s not that hard to keep your employees motivated when you know how to help. Regardless of what drives your employees to reach their peak performance, there is always something you can do to help keep your employees motivated. Understanding each member of your team will allow you to help them achieve their goals by helping them overcome their personal challenges in the workplace. Follow these tips to help your employees find their mojo again. The most effective way to motivate employees is to put their interests first. This helps earn their trust and motivate them to achieve more. I know of someone who was the manager of a textile company who succeeded in keeping employees motivated by communicating performance expectations and giving direct feedback. He never treated junior employees poorly, and always looked for ways to include them in senior management meetings. This let other employees know what lay ahead in their careers as well, which also served as a motivating factor for reaching the next level. If you show your employees that you trust them to perform beyond their expectations, you will get great results. When every employee wants recognition for their hard work, employees are often motivated to achieve more. If employees do not have the resources to reach their goals, their work ethic may dwindle. If they don’t feel valued, they may become stagnant. Motivate employees to invest in themselves by stretching their skill set. Recognize their efforts to do more and they’ll want to do even more. Give a company shout out, a pat on the back, a quiet thank you. Pay for a team lunch or offer a bonus. Often, the best recognition is the sincere once-in-a-while “Great job!” Do it every day, or every week, though and it loses its power. Cultivate increased loyalty and performance levels by taking an active role to turn your employees into leaders. This demonstrates confidence and concern for the future of your employees, as well as the future of the company. 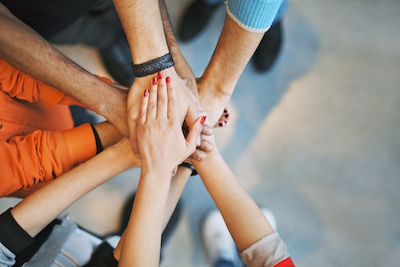 Employees are motivated by a sense of community. When you develop a culture in which employee insights and thoughts are appreciated, your staff can attain their goals. You boost morale, productivity and engagement. Sometimes employees become less motivated when they don’t have a clear direction for their career. You can help align the company’s goals with your employees’ career goals. Knowing where the company is headed can help keep employees motivated. Oftentimes, they will be able to come up with new goals of their own, which is very motivational and inspirational. Many employees fail to work at the same effort as when they started if they are not provided with new opportunities from time to time. This is also a major factor contributing to high staff turnover in many companies. Senior managers can keep employees motivated by facilitating and encouraging internal transfers. Encourage employee motivation by educating employees about new roles within the company. You can introduce employees to coworkers in other divisions to assist them in exploring new possibilities within the company. Taking on new roles can help turn your employees into leaders. Most people learn through experience, so getting development opportunities is crucial for keeping them active and engaged. Take an active role in their development and plan for experiences that will develop the skills to help them become good leaders. You can identify upcoming openings that will build the experiences needed for personal growth. You can also make special assignments or projects for individuals who you feel will be a good fit. 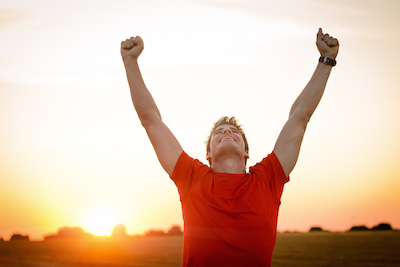 Instilling excitement about your employees’ job duties will help keep employees motivated. Managers who are flexible and knowledgeable will be able to handle the ups and downs of employee motivation problems. Redesigning roles allows employees to succeed according to the way they define success. If you have the ability to customize careers for individual employees, you will be able to keep your employees motivated over the long haul. Career customization helps employees rise above that stagnant period so they can improve their work performance and be productive again. It also encourages a work-life balance, which is the ultimate employee motivator, especially if they already love their job. 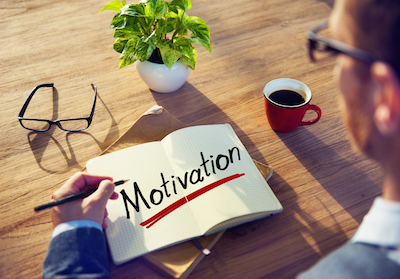 What are some things YOU do to help keep your employees motivated? We’d love to read your answers. Just let us know in the comments below.